High sugar consumption has always been met with mild reactions. Simple things such as “too much sugar makes you wired” or “eating all that sugar will rot your teeth.” In recent years the full effects of long-term, high daily sugar consumption is becoming more apparent and well-known. Consuming high amounts of sugar is being linked to a wide range of illnesses and disorders. Physical conditions like increased risk of diabetes and heart disease, and increased risk of developing mental disorders like increased anxiety and depression. More of the general public are starting to come around to these facts. Sugar is NOT good for you. Evidence is starting to show its long-term effects are at the same level as smoking cigarettes or drinking. There’s one pretty big problem…Sugar is highly addictive! All you need to do for this evidence is walk into a Starbucks or a grocery store. People say all the time how they can’t live without their super-sugared coffees. Their grocery baskets are filled with highly-sugared cereals and desserts. The sugar addiction keeps them coming back for more. Giving up sugar for good, or at the very least reducing your sugar intake well below the daily recommended serving, will show great physical and mental health improvements, not to mention more natural energy. Sugar is highly addictive and will cause all sorts of problems if you eat it on a long enough timeline. Keep reading to find out what some of these conditions are, and some tips to stop consuming so much sugar once and for all. If you’re an already very anxious person, consuming high amounts of sugar won’t help your anxiety and might even worsen your condition. Chances are you’ve binged on a high amount of sugar before and had to experience the negative effects of a bad sugar crash. For those prone to anxiety attacks, a bad sugar crash could be interpreted as an oncoming panic attack. A study done on rats has shown a link between long-term sugar consumption and increased rates of anxiety. The researchers didn’t figure out if the sugar increased a base line rate of an already pre-existing anxiety condition, or if the high sugar levels made a new one. But a definite connection between sugar and an increased rate of anxiety is clear. An increased risk of clinical depression might have a connection to high sugar consumption. Sugar increases inflammation in your body. Inflammation increases the chances of the depression. Insulin-resistant fat cells created by the sugar help increases this problem. Aside from creating a poor environment and chemical imbalance in your body, sugar also uses up essential vitamins and nutrients that help you maintain a positive mindset. Numerous studies have been done to compare the diets of those who consume high amounts of sugar and those who were given healthy whole foods (such as vegetables, eggs, fish, and meat). The ones given the whole foods to eat not only had healthier bodies by the end of the study, but their outlook increased in positivity and researchers noted they were at less risk for depression than their counterparts fed a high sugar diet. For those of you who are prone to depression already, sugar in high amounts can have negative effects on you. It’s already been established that sugar messes with your hormones. Leptin is a hormone that helps regulate your appetite. When sugar is introduced to the equation, leptin gets messed up and isn’t able to do its job as well. Leptin’s effectiveness to tell your stomach when it’s full is greatly reduced. It actually increases your appetite and makes you feel more hungry than you truly are. The dangers in that should be obvious. If you still feel hungry after eating chances are you will continue eating and overeat. Overeat enough times and you will begin to put on excess body fat. And when that happens those stubborn fat cells that affect the other hormones in your body remain and increase in number. Here we have an almost never-ending set of problems for prolonged sugar intake. This may sound like a sensational way to start this section off. But these three conditions are all serious physical illnesses. Sugar is connected to an increased risk for all three. It is addicting because it triggers the release of dopamine in your brain. It’s the same chemical released when you do anything from other addictive substances to more innocent activities like going on roller coasters or having fun with friends. Take away the sugar and your body could go through the very unpleasant withdrawal effects associated with other addictive substances. 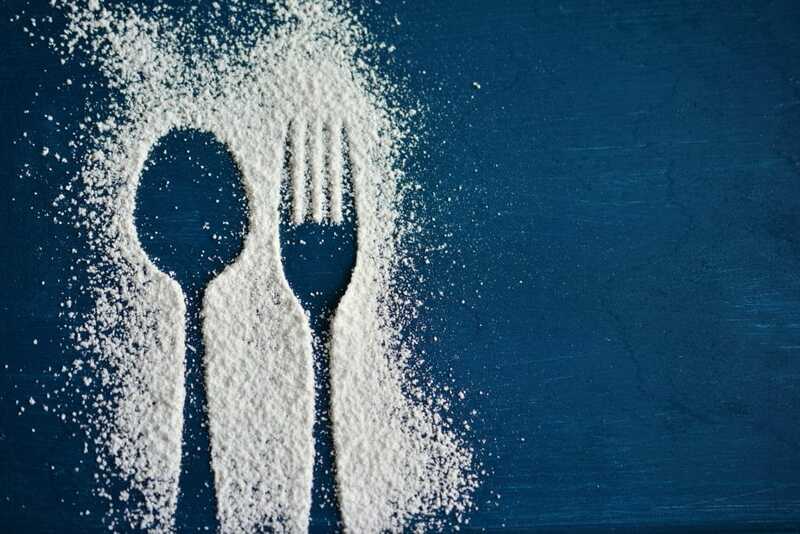 Regular table sugar (sucrose) and other additives like high fructose corn syrup are shown to have a connection to increasing your risk for diabetes. Type-2 diabetes is caused by a high blood sugar level, and consuming an excess amount of sugar per day increases your risk substantially (one study done by Harvard scientists put the number at 15%). Lastly, more and more evidence has come out showing that adding sugar to your diet increases your risk of heart disease substantially too. The American Heart Association is staying up to date on the latest research and has daily sugar intake guidelines for both men and women.